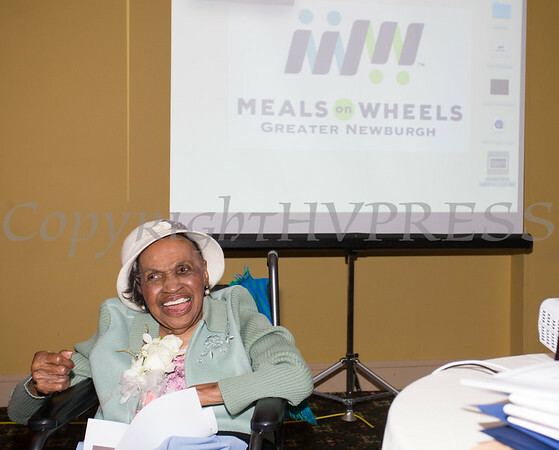 Meals on Wheels of Greater Newburgh celebrated its 45th anniversary and its founder, Frederica Warner's 100th birthday on Sunday, November 19, 2017 at the Powelton Club in Newburgh, NY. Meals on Wheels of Greater Newburgh celebrated its 45th anniversary and its founder, Frederica Warner's 100th birthday on Sunday, November 19, 2017 at the Powelton Club in Newburgh, NY. Hudson Valley Press/CHUCK STEWART, JR.